Before any services can be consumed, subscribers musT be able to top up their credit. This includes redeeming vouchers, bank-operated top-ups, person to person transfers or a multi-tiered commission based wallet system. 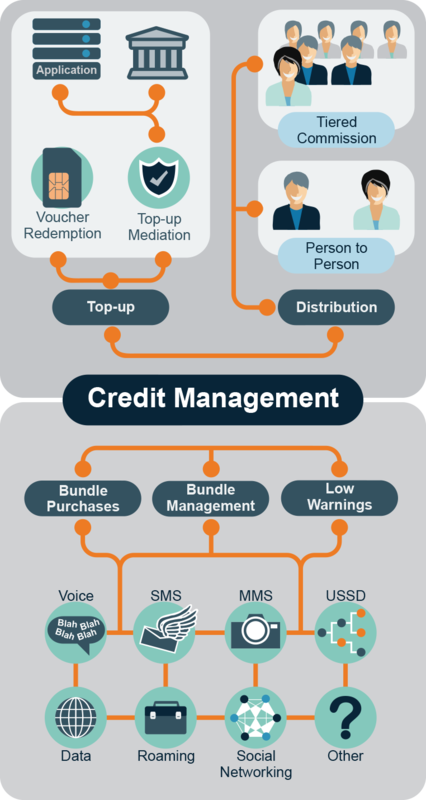 After top-up, the consumer will apply the credit toward specific bundles and then consume services. Much like a restaurant rotating tables on a busy night, ensuring this cycle is efficient allows it to repeat more often. New bundles are easy to define and by using and of call notification, alerts can be generated to warn the subscriber when their bundles are almost depleted.